One of the first things to stand out when the NCAA tournament bracket was revealed is the first-round matchup pitting Minnesota against Louisville. 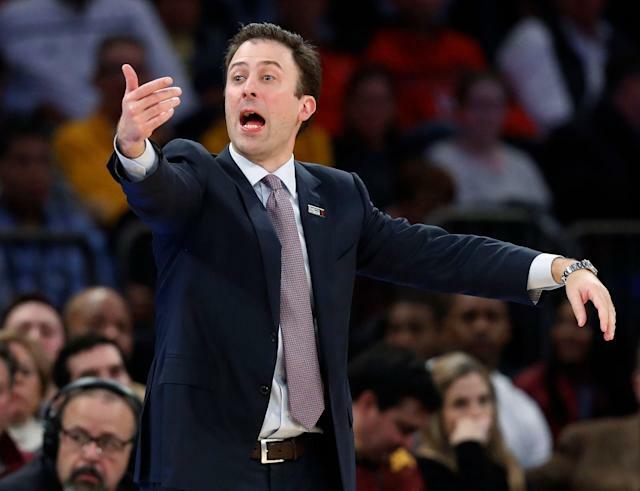 It’s not the on-court contest providing the intrigue here, but the matchup pitting Minnesota head coach Richard Pitino against Louisville on Thursday. It’s the son of former Cardinals coach Rick Pitino taking on the school that fired his father when a shoe scandal, vacated national championship and escorts in the players’ dorm added up to too much for Louisville to stomach. There’s also the issue of dueling lawsuits between the elder Pitino and Louisville over $38.7 million that are still pending. So, yeah. This one’s a bit awkward. The selection committee claims not to take matchups into consideration. But if they wanted to drum up interest in a game, this is a solid strategy. 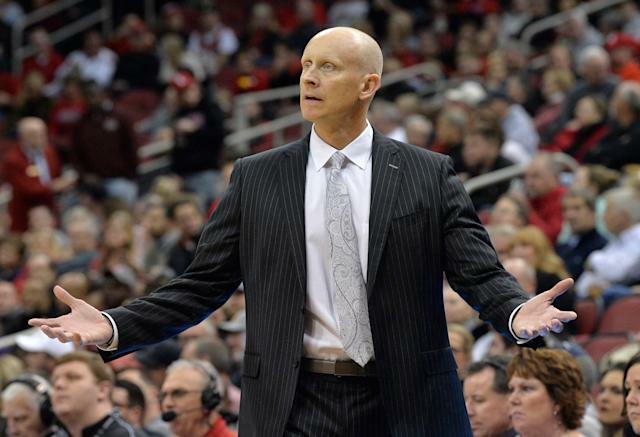 While the intrigue isn’t remotely relevant to the actual game, it’s an unavoidable topic that has begged questions for parties on both sides — questions both Pitino and Louisville coach Chris Mack would prefer to avoid. Pitino, 36, was an assistant at Louisville, but left the school in 2012, long before scandal completely engulfed his father. After addressing the initial awkwardness attached to the matchup, Pitino focused on the glad-to-be-here approach while saying nice things about his opponent. “There is not one part of me that isn't 1000 percent honored, appreciative, humbled by the fact that we're in the NCAA Tournament,” Pitino said. “It's a hard tournament to go to, only 19 percent of our college basketball teams get to go to it. So you never are going to hear me ever complain about anything that we play. Like I said, I got tons of respect for their program. Mack, who took over at Louisville this season in the aftermath of the Pitino scandal, faced multiple questions about the Pitino storyline during his Wednesday media appearance. He initially deflected, sticking to coach-speak about focusing on the opponent and having his players appreciate the moment of being in the NCAA tournament. But he was finally compelled to address the elephant in the room and isn’t pleased with the job the selection committee did. The good thing about the abrupt nature of the NCAA Tournament is that this will be a short-lived issue for both Pitino and Mack. Win or lose Thursday, there will be a completely different storyline to focus on Friday.